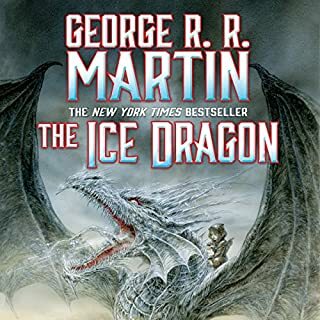 Dubbed “the American Tolkien” by Time magazine, number-one New York Times best-selling author George R. R. Martin is a giant in the field of fantasy literature and one of the most exciting storytellers of our time. Now he delivers a rare treat for readers: a compendium of his shorter works, collected into two stunning volumes, that offers fascinating insight into his journey from young writer to award-winning master. 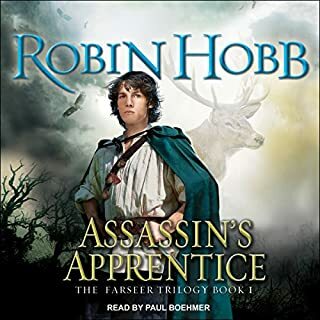 ©2003 George R. R. Martin (P)2007 Random House, Inc. Random House Audio, a division of Random House, Inc. This edition contains all three of the "Unabridged Selections" volumes that are sold separately. So, if you're using a credit this is obviously the one to get. There are 3 stories from the print edition that are not included here: "The Ice Dragon" which is available as a seperate audiobook and the two television scripts: The Twilight Zone: "The Road Less Traveled" and Doorways, a pilot that was too similar to Sliders. Fans of Game of Thrones will be pleased with "The Hedge Knight" which is set in the same universe. THE SIREN SONG OF HOLLYWOOD - Introduction to 2 scripts missing from the audiobook edition. As I expected, I enjoyed some stories and did not care much for others. This is an anthology of work by George R.R. Martin covering a good portion of his career. 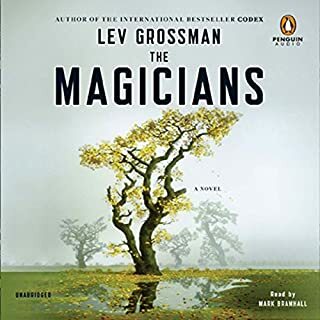 I really enjoyed that each "section" of the book began with the author providing some background on the works about to be read, telling the personal side of the stories. I thought these were at times more entertaining than the stories themselves. While some were not thrilling or unpredictable, it does not detract from the quality of writing I find with much of Martin's works. 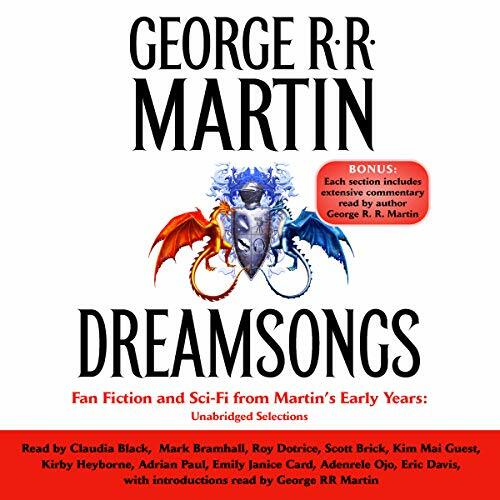 Dreamsongs does not disappoint, especially for fans of George R.R. Martin's style of writing. If you could sum up Dreamsongs (Unabridged Selections) in three words, what would they be? What other book might you compare Dreamsongs (Unabridged Selections) to and why? Not the grinding fantasy world of Game of Thrones, but sci-fi and fantasy short stories that have a unique realist feeling through the characters, environments and the way the writing lets you feel empathy for the star of the story in a way that I rarely read in that genre, that makes it so much better than the average work. I can imagine the events much more as actual events in his science fiction than any other I have ever read/heard. All the stories are different, but I like the Tuf Voyages stories the best. If you could rename Dreamsongs (Unabridged Selections), what would you call it? The voice talent is excellent but Scott Brick is fantastic. Best I've heard for fiction, my favorite. Normally I would skip introductions to get to the story, but they tell the tale of George R.R. Martin's journey to becoming the great author he is today. The stories themselves are very evocative and the variety of composition styles speaks to the decades it took for these stories to be written. The voice performers are talented and entertaining and do a good job of capturing the spirit of the stories. 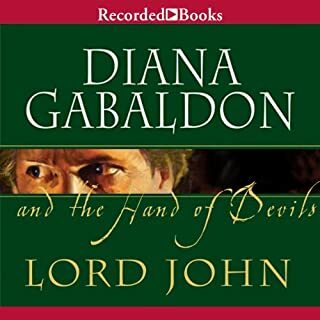 This was my first audio book written by Martin and it is done as well as I expected; a delight to hear. I really enjoyed hearing Martin tell his story and this thing is fully of short stories. Some of his shorts were really good and left me wanting to hear more and some of them were just so-so but as a whole I enjoyed it very much. If you are interested in Martins path to fame this paints the picture and includes quite a few shorts from Martin's early career through the mid 80's. Getting intimate with a writer..
That's the way you feel when you listen to George Martin - actually listen to the author - read his early stories (along with some other pretty amazing narrators-big shout out to Scott Brick, a personal favorite) and explain where he was and what was going on in his life when he wrote them. I loved it from beginning to end. Would you listen to Dreamsongs (Unabridged Selections) again? Why? The mix of stories was engaging. Each section was previewed by a commentary read by the author and these were excellent as they helped to understand context for some of elements within a story. 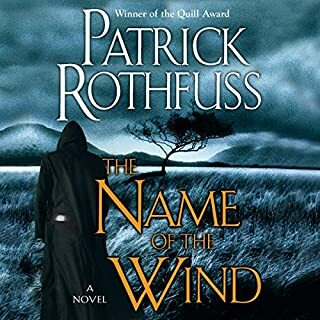 I read this book after reading the Game of Thrones series. 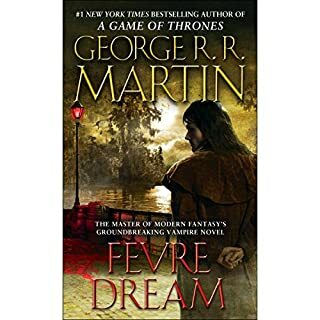 After reading this book, I definitely want to continue to read the Game of Thrones (even though the TV series will now be ahead of the books. Some of the stories were excellent. The synopsis was quite long. A few stories dragged but overall the book was quite enjoyable. Dreamsongs is excellent. It works as a chronicle of Martin's career, as an introduction to his various universes, and simply as a collection of first-class stories. Even though the stories cover a wide range of genres, they mostly deal with what Martin refers to as the human heart in conflict, which he discusses in his introduction to the last section. The readers are all wonderful. Special mention goes to Adrian Paul, whom I didn't expect to be so good at narration. Also, Roy Dotrice! Sadly, he doesn't read the ASOIAF story. Definitely a credit well spent. I would, even though I disliked most of the sci-fi stories. I'm pretty sure most of my friends would..
What was one of the most memorable moments of Dreamsongs (Unabridged Selections)? Ice Dragon. A simply beautiful story, I just had to listen to it in a single setting. I would recommend this book to most of my friends who enjoy descriptive stories. I enjoyed the Skin Trade best of all the short stories. The wild card stories were interesting and made me curious about the collections.